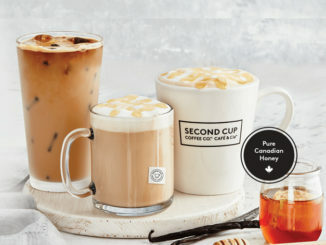 Second Cup expands is seasonal winter menu with the introduction of new Chocolate Chai as well as new twist on a fan-favourite beverage. 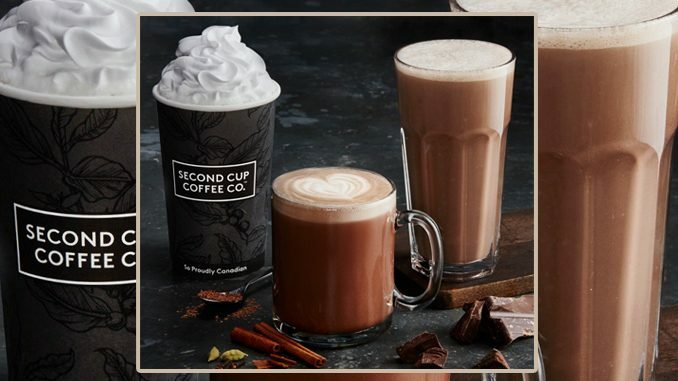 Chocolate Chai is micro-brewed in small batches using organic black tea and a rich blend of organic spices including cinnamon, cardamom, ginger and clove paired with rich, creamy chocolate. 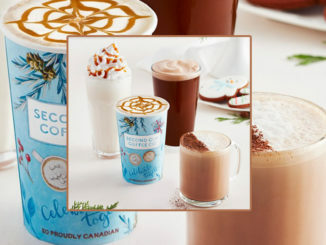 Second Cup is also offering a nutty twist on their fan-favourite Classic Hot Chocolate made with almond milk. 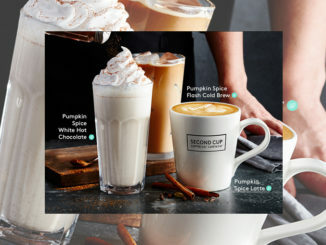 Additionally, participating locations are also welcoming back the Hot Chocolate Cookie baked with the brand’s signature hot chocolate.